Billings, Montana Web- Local MT Attractions, Events, Travel, Hotels, Motels, Restaurants, Tourism, Yellowstone County, Helena, visit Montana cities, Rocky Moutains, Community Events, Autos, Cars, Rentals, conventions, Events, Trips and vacations, Traveling, Luggage, Trucks, Automobile, Western, Housing, Real Estate Market, Activities, Advertising Sales and service, Huntley, Lockwood, Laurel, Red Lodge, Shepherd, Worden, Ballantine, Pompey's Pillar, Hardin, West Yellowstone, Yellowstone National Park, Glacier National Parks, realtors, Horeback Rides, Businesses, Ads, www.billingsmontanaweb.com. Your Billings Montana connection and destination for Montana vacation travel resources and local services. Billings, Montana Web. Find local hotels, restaurants, city information, attractions, and events in MT. Find rentals, businesses, products & travel services, jobs and employment, realtors, housing, local weather, sales, activities, local bed & breakfast, vacation travel, horseback riding and more. Do you know what is offered in Huntley? Welcome to Billings, Montana Web! We announce the unveiling of this new website called Billings Montana Web in it's beginnings. In the spirit of active events in Billings, Montana and in conjunction with the Lockwood Montana Website, and the Shepherd Montana Community Website, we anticipate the unveiling of the new Huntley Project , website in it's entirety by June 1, 2008 with sponsored banners, links, new companys and information that is local to the greater billings Montana area and surrounding Yelowstone County area. Billings is also known as the Magic City along the Rimrocks and cliffs that surround the yellowstone valley. Billings is also a frequent stop for westbound visitors to Yellowstone National Park, as it is the last major city for visitors going to the park via the Beartooth Highway in Red Lodge. As Billings is a gateway to Yellowstone National Park, Custer's Battlefield & Reenactment and Pompey's Pillar Historical Monument; Billings is also a central location point for major sporting tournaments and events as well as business conventions in and around the downtown Billings metro area. Billings Montana Web provides resources for those coming to Montana cities in a number of ways from the local horseback rides that are offered to country western tours in and around the Billings city limits as well as specialty trips to outlining towns and historic places. As a central point of reference, Billings Montana web would like to focus on the many companies and businesses that offer their services to locals, visitors, and tourists as resources, references, and allow locals and visitors the endless possibilities presented in the State of Montana. Whether it be from direct tourism, tourists, or visitors coming from out-of-state for events, leisure travel or business, Montana presents many surprising elements of the West that can be experienced as well as enjoyed from the peaks of the Rocky Moutains to the valleys and streams below. Montana also attracts many groups and families from other states due to the National Parks like Glacier National Park and Yellowstone National Park. Fishing and water sports are also included for outdoor activities while bowling and some sporting events are conducted indoors. The Metra Park arena has been a center for these indoor events while yet other conference and meeting places for sports are available in the city limits and through out the state of Montana. Montana's future looks bright in that new developement are underway in cities to accommodate the neccessary change that had evolved over recent years. As Billings is the larget city and most diverse city in Montana, new roads, commercial buildings and construction are in process to allow travel within billings to be even better. As Montana has some of the best highways and interstates, newer roads and complex developements are being developed to meet the needs of Montana's welcoming environment and atmosphere. Lockwood Montana?, Where is it? 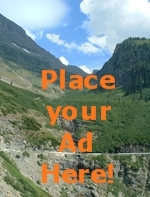 Want your ad or feature to appear here? Tours, Horseback Rides, BBQ dinners, Wagon Rides and more. The Montana State University system has many extended campuses and centers of education throughout the state. Montana State University-Billings in Billings are called the yellowjackets while the Montana State University-Bozeman are called the Bobcats. In Missoula, Montana State University-Missoula are considered the Griz. Billings also has other institutes of education like Rocky Mountain College. Helena and Great Falls also present educational institutions as well. If you would like to add info here for Billings, fill out this form and advertise with BillingsMontanaWeb.com! Want to advertise here? click on link for more details. Welcome to Billings, Montana Web.com!!!!!!! Find what you need right in Montana. From restaurants and Hotels/Motels to cars/autos and real estate. Local attractions and activities are available for visitors in and around Montana. For all those enthusiastic people who like moving things, this will get the job done and catch their attention.